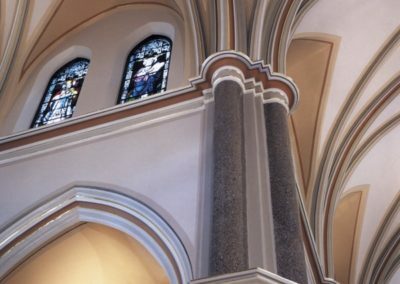 To provide a new decorative scheme that is warm, welcoming and visually uncomplicated for Gesu Parish, Marquette University in Milwaukee, Wisconsin. 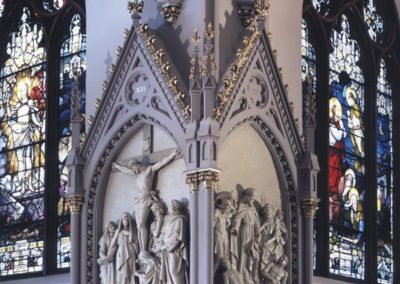 Also to integrate the various elements–decorative plaster, marble, mosaic, stained glass and Stations of the Cross–into a synthesized whole. Decorative painting was used to soften the painted surfaces. 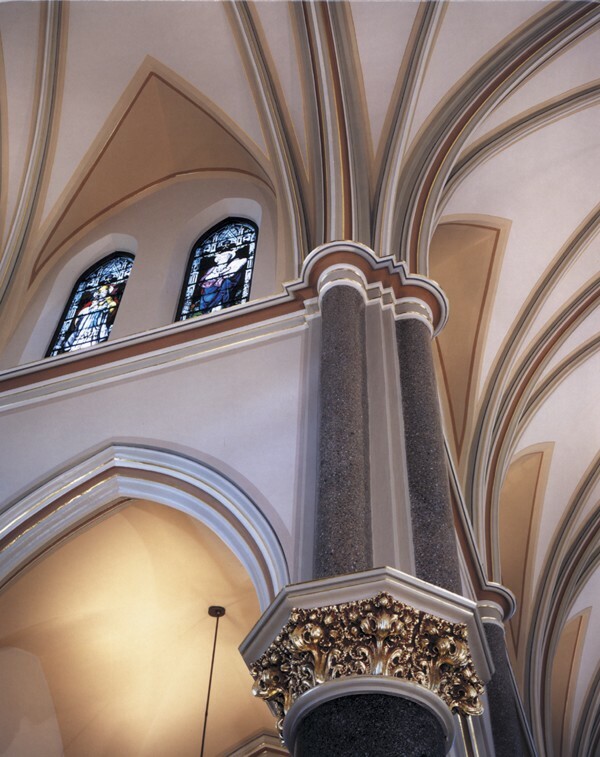 Warm taupe, gray and terra cotta create a welcoming atmosphere and are accented with gold leaf highlights on the architectural elements. 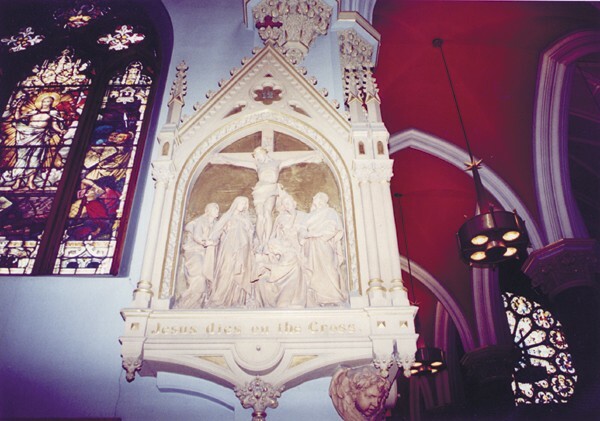 The large, molded plaster stations of the cross have been painted and glazed to resemble carved marble. 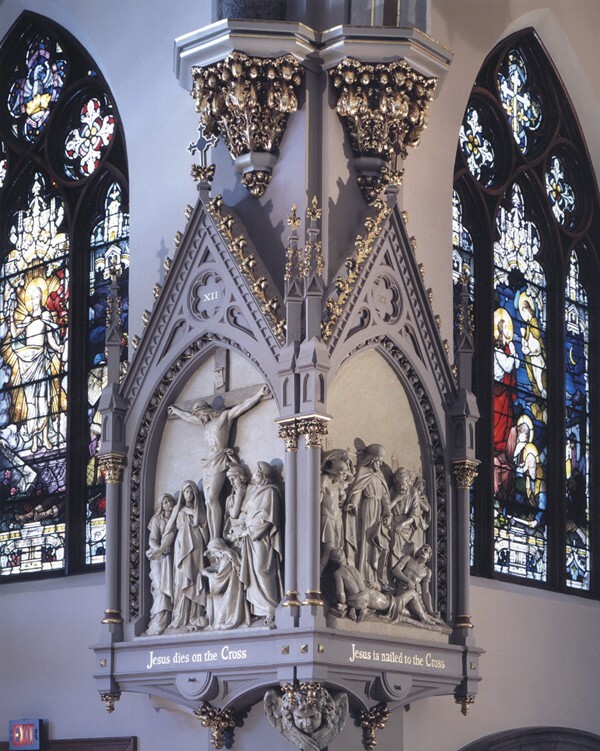 The upper pilasters have been faux-painted to relate to the real granite ones below. 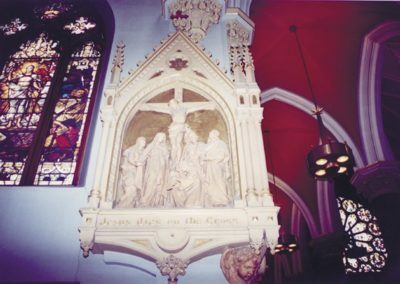 The lighter gray of the faux granite effects a transition to the decoration above. 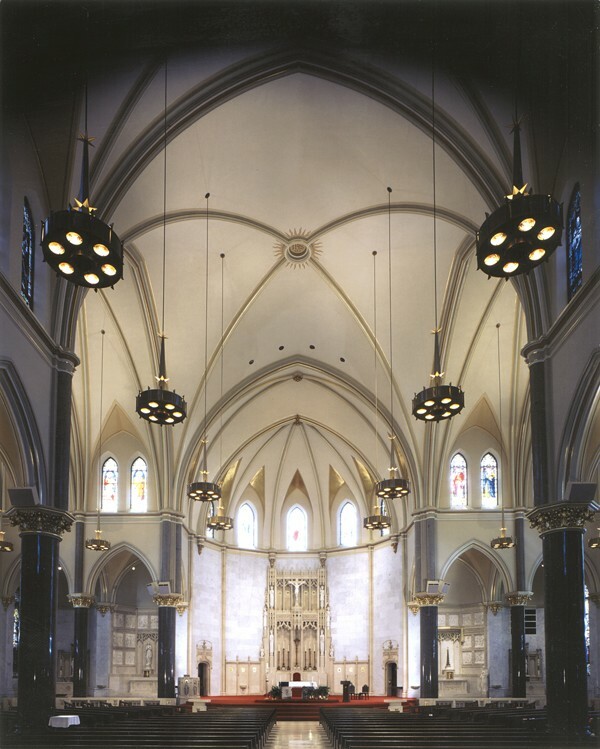 The apse hoods are faux painted to appear as gold mosaic, which was inspired by the real mosaic of the reredos. 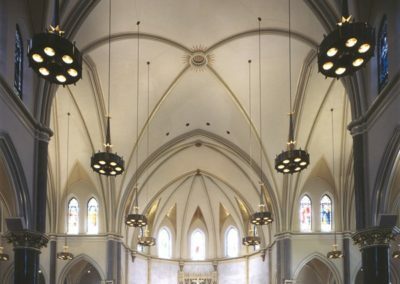 With the new decorative scheme, Gesu has gained a warm, unified, uplifting worship environment.